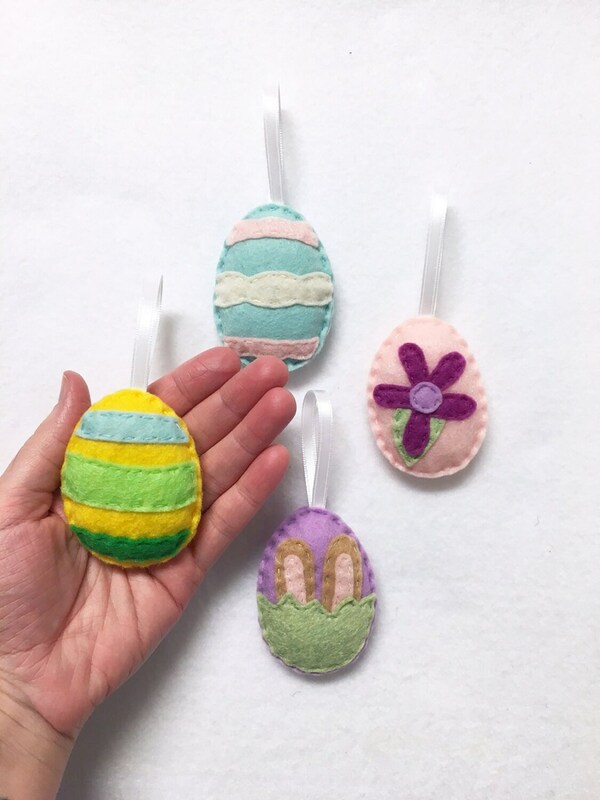 As an accent to my Critter creations I created these Easter Egg inspired ornaments. 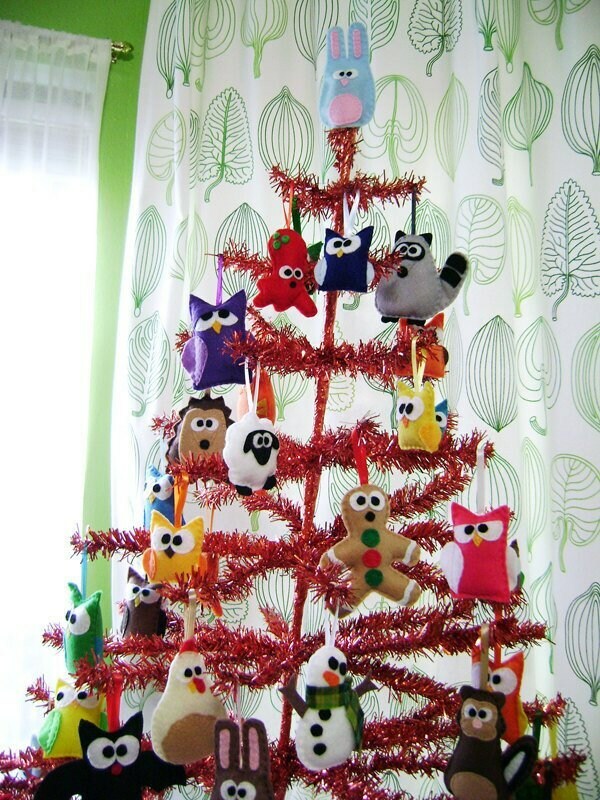 These can be used as stand alone ornaments for your decor or as accents to your Red Marionette Critter collection. They can best be used as a decoration on a tree, but would be great as a gift topper or party decor! 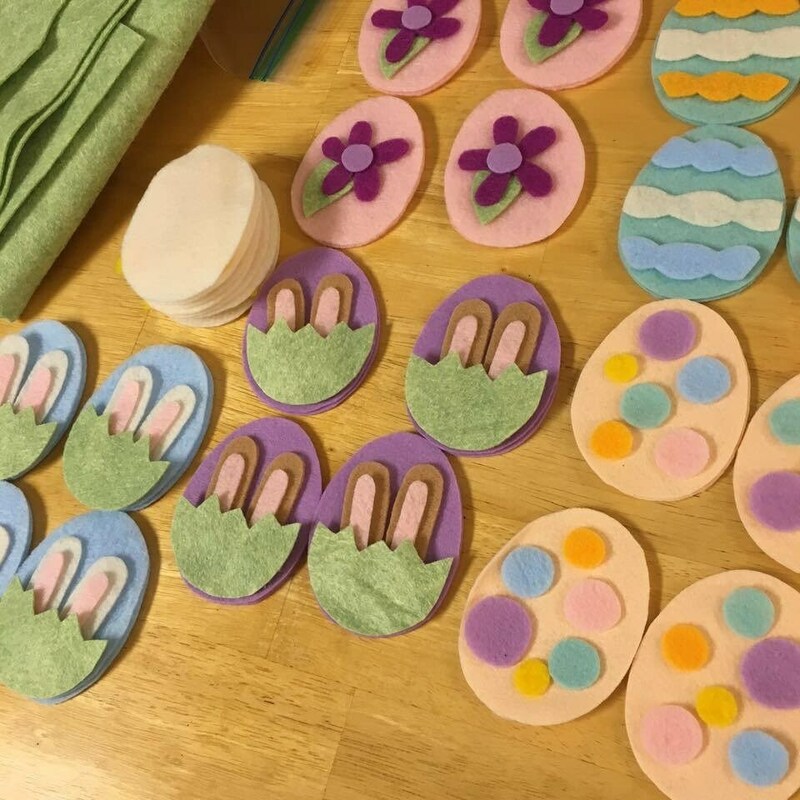 They are made from felt in colors ranging from shades of pink, teal, orange, gold, Lavender, and lime. A satin ribbon is stitched securely so they can hang. They are stuffed until they are festively plump with polyfil. They are 2.75" tall each. 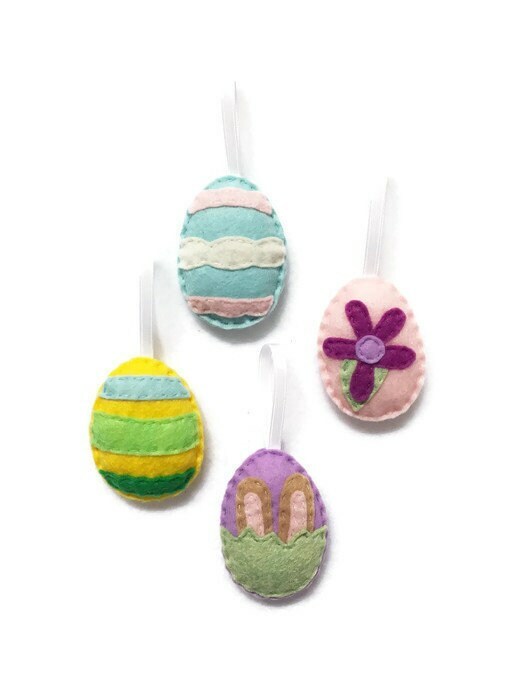 Photograph 3 is an example of some of the critters available in my shop to coordinate with the Easter Ornament Set.